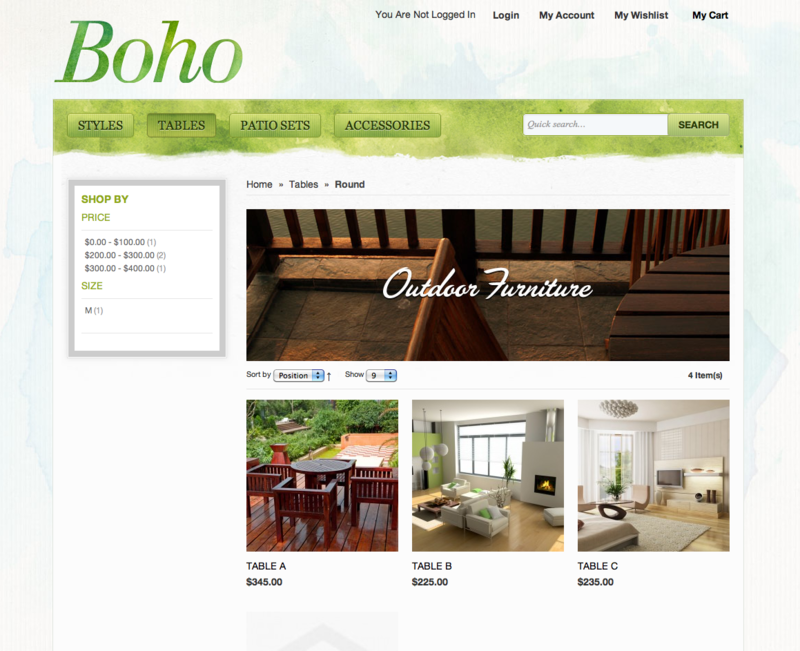 Boho is a premium Magento theme that captures the casual chicness and folksy charm of bohemian fashion. 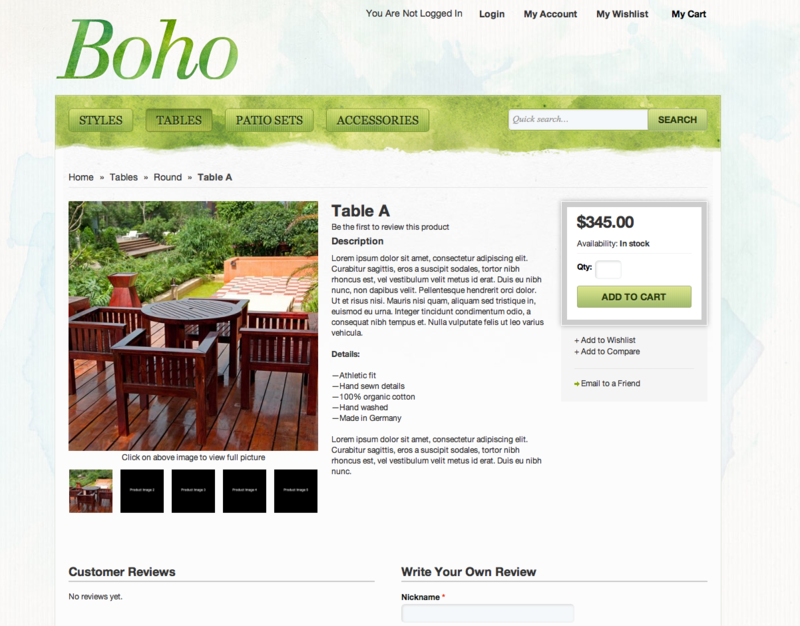 On the homepage, a jQuery slider gives you the opportunity to showcase your most striking product images. Other special sections on the homepage display featured products, bestselling items, special sales or promotions and a newsletter sign-up form so visitors can get the latest scoop on your fabulous products. 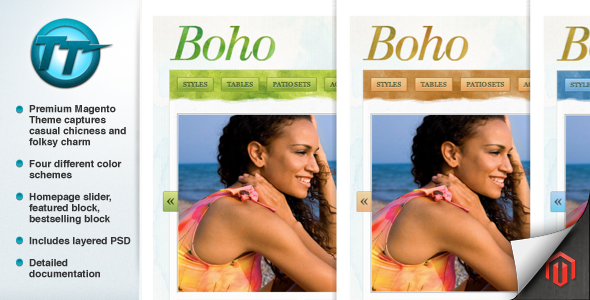 Four color options are available, each of which complements the theme’s boho-chic design. 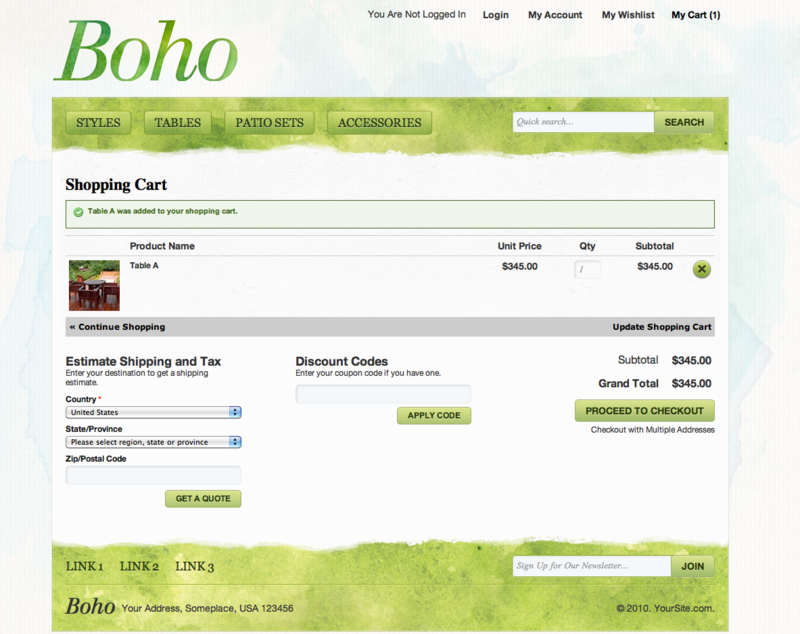 Boho Deux supports Magento Community Edition 1.4.1.x, 1.5.x, 1.6.0.0 and 1.6.1.0 !! The theme does not support Magento Enterprise Edition. PHP 5.2 or newer is also required.